This is Haley's third year on the Hoofbeat staff. 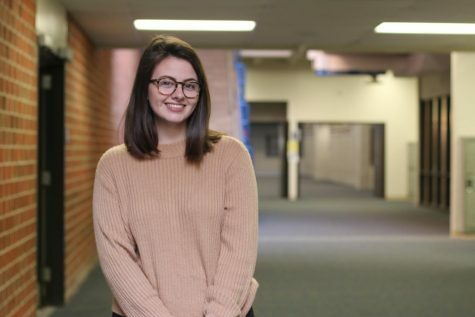 Freshman year she accidentally found herself in Mrs. Crotzer’s Intro to Journalism class and from that came her love for the journalistic style of writing. Her sophomore year she began as a staff writer. As junior she became the Entertainment editor. Now, as a senior she is the In-Depth editor. Outside of school, Haley spends her mornings working at kids net, her afternoons playing with her pitbull, Dewey, and spends her weekends blowing her paycheck on concerts, thrift shopping, and unnecessary coffees.